Do you that you can Schedule Whatsapp Messages on your Android Smartphone? Let’s discuss whatsapp before we give the guide on how to Schedule WhatsApp message on Android device. As we all know that whatsapp is one of the best instant messaging apps. Whatsapp is a Facebook-owned service that allows users to send messages, photos, videos, and music. The app also allows users to chat with their family and friends in as much as you have the contact on your phone. Have you ever be in a situation whereby you want to send a message to someone at a specific time but you couldn’t. Sometimes you might want to send New year wishes, Birthday wishes, and greetings but don’t know how to go about it. 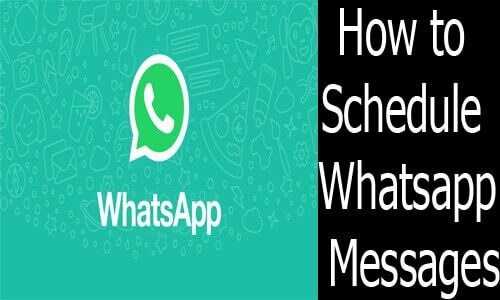 In this article, you will be enlightened on how to schedule WhatsApp messages. Although, WhatsApp just added some features to the service, scheduling messages feature is not yet added to the service. There are many third-party apps on google playstore that allows users to schedule any messages anytime or any day. Kindly follow the below guide step by step so that you will also be able to schedule WhatsApp messages. 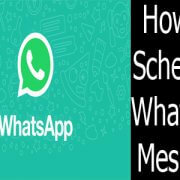 Make sure that you download WhatsApp scheduler app and install it on your device. Ensure that you also grant the app permission to operate. The first step is to open your google play store app and search for any WhatsApp scheduler app. Download the app and install it on your device. Open the Whatsapp scheduler app and click on the “+” icon and Select the contact you want to schedule message for. Set the time and date you want to send the message and select the frequency and type your message. Lastly, Click on the create button to complete it. Having got this done, you have successfully scheduled a message on WhatsApp. ENJOY!! !